Gotoky is an international startup based in Slovenia and Netherlands focused on hardware. It is developing an off-grid communication device, an advanced “walkie-talkie” for active outdoor people. The Gotoky team is now working on the process to launch the product. We have interviewed co-founder Katja Lipicnik about the challenges in hardware. Gotoky is one of the startups that participated in the 2015 Startupbootcamp HightechXL programme. At that demo day, Gotoky has been awarded by public as a hottest startup of that edition. The team, originally from Slovenia, has finished the programme and is not working to finish their first product launch. First of all: what is the Gotoky? 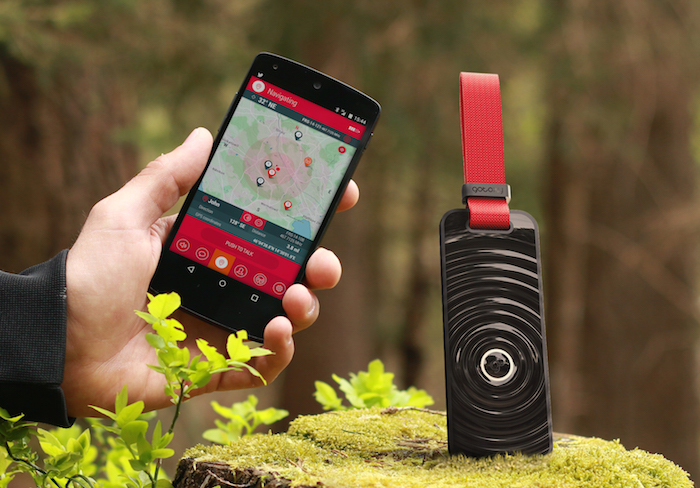 The Gotoky is very advanced walkie-talkie: it offers voice and data transfer, navigation from preloaded maps, sharing location and has an emergency location beacon – all of that without any need for mobile network coverage. It is a must have device when natural disaster strikes: such a strike can leave mobile network often crippled for days/weeks. On the engineering side: Gotoky works in pairs: for all the mentioned features, and as a standard walkie talkie for voice communication. It connects to your smartphone over Low Energy Bluetooth and works over standard radio frequencies. Gotoky is basically “using” all the brain of the smartphone, so communication is possible when you are far from the tower, when the network is overloaded because there are too many people around you, when you are alone , somewhere off-grid needing help, or simply if you are going abroad and instead of paying exorbitant roaming charges, you use Gotoky for all the communication, location and safety. When and where did you start? Why did you create the product, and when did it really become a company? Nearly the same team has created a digital agency in 2013, where we also developed some hardware product for one of our global clients. Our CEO is a sky instructor and enthusiastic hiker who once got lost in the Slovenian Alps. So his first idea was created in February in 2014, and then we have started slowly working on the development and creation of it. During the summer of 2015, we wanted to launch the product through a Kickstarter campaign, like many other hardware startups do. But soon after we have been scouted by Guus Freriks from Startupbootcamp HightechXL, so the initial plans were changed. He invited us to pitch for Startupbootcamp HightechXL on the selection days. We were selected and in September moved to Eindhoven to participate in the bootcamp. Are you still in Eindhoven? Or did you move back to Slovenia? Currently we are on/off in The Netherlands. The team of Gotoky has also the digital agency and this business is still located in Slovenia. So we have decided that the production of Gotoky will take place there as well: Slovenia is suitable country for producing hardware, as it offers high quality for quite modest cost, so the price-performance is on an very high level. Our main office still maintains in Eindhoven at the High Tech campus for business development, investor relations and marketing and sales strategy. Did product development go as expected? What was the biggest obstacle? Development of hardware products never proceeds as expected. When you do it for the first time, you are facing a lot of challenges, both in development and in team dynamics. Antenna design is the “hardest” part; we have one person in our team dealing just with the antenna development. But there are challenges also in other areas: for example in supply chain, since not knowing of Chinese holidays our supply delayed for a couple of days. The second stage of the process is even harder: after the initial product development (up to a working prototype), you need to bring the product to the market: loads of business knowledge, marketing strategies, networking is necessary to launch it in a successful way. The Startupbootcamp HightechXL team helped us there. When is the product ready for the market? According to the current plan, the first handsets will be unwrapped this April. Before this happens we have to do a lot of testing and certification. We have already opened a pre-order campaign on our web page www.gotoky.com where you can get Gotoky for a reduced price. What does the Gotoky team look like? How did you all meet? We currently have five developers: two on the electronics, one on the antenna, two mobile developers for the software, Android and iOS. On top of this we have Denis as CEO and CFO, and me (Katja) for marketing. We are planning to grow the team with a sales manager in order to reach the stores with outdoor equipment. (Image: Team Gotoky at Websummit 2015). After the initial launch, what next steps do you have planned? After finishing and launching the current project, we will start developing Gotoky Enterprise for the business to business market. Since there are loads of traction from B2B environment we will developed a fully digital peer-to-peer communication product. We have already entered an exclusive partnership with the Slovenian Rescue Organisation which is a part of Ministry of defense. They will use Gotoky and benefit from tracking their teams on a map in real time, sharing relevant data like distance, direction, searched area and personalized data. But one of the most significant feature for them is the Emergency Location Beacon, alerting everyone on the team that someone has been hurt or is in distress while working. With this they will reduce the time and costs of rescue missions, and making it even more successful. But our partnership doesn’t stop there; rescue organizations will build a data transmission backbone on the top of the mountain. Now people in the mountains, using Gotoky and this system, will be able to send emergency signals directly to a communication command center in the city. And Rescue Mission will start immediately. This partnership is a launch pad to other European rescue organizations and is our strategic way to build trust into device for the end consumers and to make Gotoky a mandatory device for security and safety in the mountains. What is your funding strategy? Are you going to raise funding? We decided to raise money via a pre-order campaign, where people can order to product in advance. This is basically the same idea as Kickstarter but we are running it on our own website, using the network of relations we have built in the last year. Anyone who wants to help us can order one or a pair and will pay a discounted price in return. With funding we are looking for seed investment. How has your product changed from the initial idea? In the beginning the focus was on voice and data transfer. Later on we have realized that navigation, showing the location and on top of it having a rescue location beacon, are very important features. People are extremely interested specifically in these features, as they want Gotoky as a must-have device. But we have decided to not develop just a safety-based device since communication, like voice or data or messaging, are still features people are already very used to. So it remains a device for communication and safety with our primal mission to make this world even more connected and safe. What is your experience with the Dutch startup ecosystem? The Dutch ecosystem is very fast and extremely responsive. When people say they will call you, they actually do. The business culture is different from what we are used to and for startups like us this is much more appreciative: all of it is progressing much quicker. We would definitely recommend other startups to come to Eindhoven and specially if they are dealing with hardware: Startupbootcamp HighTechXL is the best place to be! Their Business knowledge, production knowledge, and their network is crucial to have. And your experience with Startupbootcamp HighTechXL? As I have mentioned before, although it is a very intense programme. The result is you learn loads! They are extremely supportive, but also very tough. They break you down to get you up again, even stronger- three times stronger! On the other hand it is also great to meet other startups, share experiences, learn together many times from each other – me personally I admired all the startups, of course, but specially I loved the pitch from Epco from Dashtag. He is a brilliant pitcher. 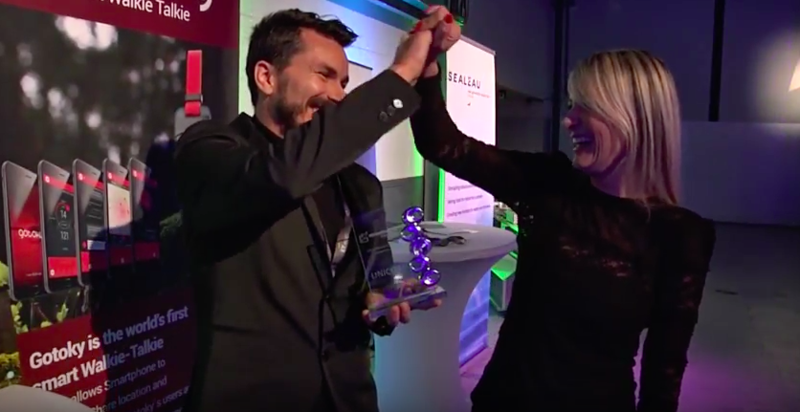 And as said before, we appreciate all the votes from the audience and the ‘hottest startup award’ (see the video report). It is nice to see that people believe in us. Since we decided to fund the last phase of development, it would help if people would pre-order a Gotoky pair. Check this video for product info, and visit our website for more information.